Travis Kalanick groveled on the floor before Uber executives last February, according to a new in-depth report on the company co-founder’s fall. According to a report published yesterday by Recode, Kalanick met with Kamel about two days later in a luxury apartment in San Francisco for what was supposed to be a brief apology. But that meeting devolved into another debate carrying over from the one captured in the video. Recode reports that Kalanick and others in the meeting suggesting buying two cars Kamel used for Uber’s business, because the initial argument stemmed from Kamel’s insistence that he had lost money on the investment after Uber lowered fares. “I lost $97,000 because of you,” Kamel told Kalanick in the filmed argument. “I’m bankrupt because of you. You keep changing every day. 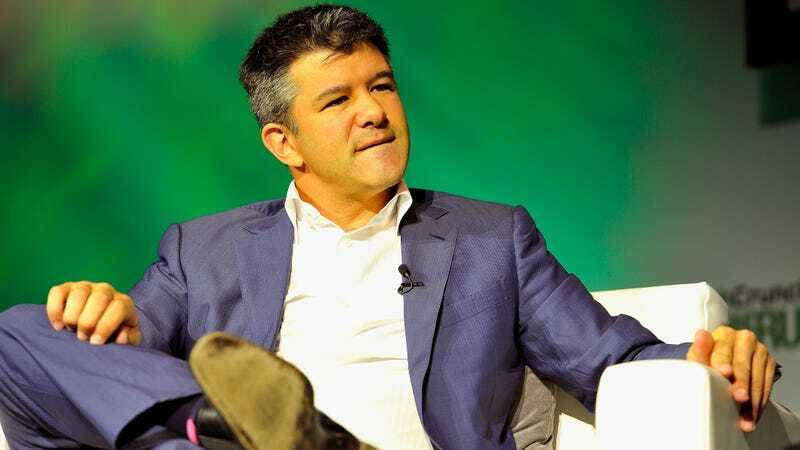 You keep changing every day.” After the meeting, the company’s chief lawyer swiftly informed Kalanick that the money would have to come out of his pocket, not Uber’s, Recode reports. Citing an unnamed source, today’s report asserts that Kalanick did, in fact, agree to pay Kamel $200,000 of his own money. Kalanick reportedly also suggested giving Kamel stock in Uber. The decision is said to have greatly concerned then-general manager Wayne Ting, who was present for the meeting and feared this would set a disturbing precedent, leading to compensation for other disgruntled drivers, Bloomberg reports. The article sheds light on other disturbing blunders and mishandlings by Uber over the past year, including an episode where Kalanick, while on company leave, reportedly demanded security personnel read an Uber employee’s emails to determine whether the worker had leaked a story. It seems that acts of meddling like this were what eventually led the executive team to write a letter to the Uber board, clearly aimed at Kalanick, to stay clear of employees and daily company matters. These days, according to Bloomberg, he’s “getting very good” at the addictive smartphone game 2048.